NTT Communications, a subsidiary of Japanese networking giant NTT, has finally acquired 100 percent of American data center operator RagingWire. NTT Com purchased 80 percent of the company in January 2014, and announced it would buy the remainder in February 2017. Going forward, RagingWire will serve as the data center platform for NTT’s Nexcenter range of services in North and South America, including cloud, network, applications, security and managed services. “Since joining the NTT Communications family of companies, RagingWire has become a linchpin in our global data center strategy. Their award-winning design, 100% availability operational model, and industry-leading sales and marketing have been critical to our growth worldwide,” said Masaaki Moribayashi, SVP of Cloud Services at NTT Com and board member for both companies. RagingWire was established in 2000 as a colocation provider focused on some of the most active data center markets in the US. Today, it operates facilities in Texas, Virginia and California, totaling 1.5 million square feet. Since its acquisition by NTT Com, the company has more than doubled in size, bringing online 60MW of data center capacity. 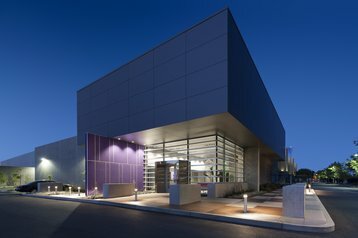 NTT Com is one of the largest data center operators in the world, with more than 140 facilities under management and a Tier 1 fiber network stretching across Europe, North America, Oceania and Asia. It is responsible for several local data center brands including Netmagic in India, Gyron Internet in the UK and e-shelter in Germany. Its parent NTT is the largest telecommunications company in the world in terms of revenue. It was established by the Japanese government in 1952, and around a third of its shares are still owned by the state. “By joining NTT Communications, RagingWire became a global company with access to NTT’s financial strength, global data centers, and world-class information and communications technology (ICT) solutions,” said Douglas Adams, CEO and president of RagingWire Data Centers.